Welcome to our main campus for Belize Study Abroad. Centrally located in the heart of the country, our main campus for Belize Study Abroad is ideally positioned and equipped to serve as a home base for your study abroad experience. The campus itself is situated within the 1060 acres of land managed by Monkey Bay Wildlife Sanctuary for the protection of wildlife and the continuity of the Central Belize Corridor. The campus operations utilizes sustainable practices in rainwater catchment for drinking water and rainwater catchment ponds for utility water as well as a Biogas Composting Latrine for general campus use. The vision of Monkey Bay's and Belize Study Abroad's Managing Directors along with our dedicated team has transformed this campus from a rustic campground to a fully fledged education facility in the heart of Belize. Our Main Campus Field Station is one of the most historic buildings on campus and holds our library, a classroom and private rooms for Group Leaders as well as our administrative offices on the first floor. A weather station and satellite internet antennae tops the building. Our student housing provides comfortable accommodation to both small and large visiting groups. 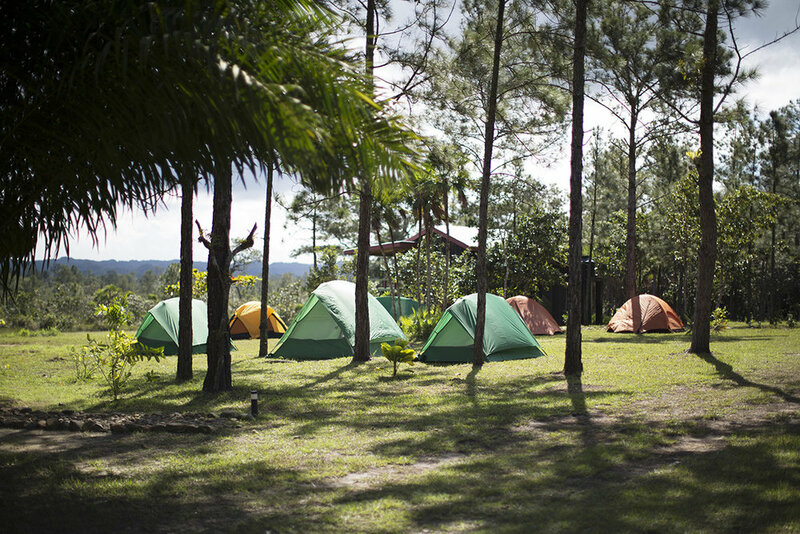 Group Leaders can be accommodated in our private Mountain View Cabañas situated on campus very close to student accommodations. Meals are served buffet style and seating is family style - a great opportunity to get to know your travel companions and our crew, share experiences and have a second helping of dessert. Please email us at info@monkeybaybelize.com for details on bunkhouse capacity and features. For those groups who wish to camp, we can accommodate larger groups on the campus grounds. We even rent tents and set them up for you! Local artists from Gales Point Manatee or La Democracia teach traditional culture through the African influenced rhythm, song and dance of Creole drumming. The Sibun River borders the sanctuary property. It is one of our watershed education resources as well as a great place for swimming and canoeing. This public road borders the sanctuary property and leads from our campus to a favorite local swimming spot on the Sibun River. A great birding option and a lovely walk. Our Biogas latrine transforms waste into methane gas and nutrient rich compost. Monkey Bay maintains a self guided loop trail around campus as well as a longer nature trail which transects 5 vegetation types. Learn more here. Our fleet of buses and experienced drivers take groups all over the country of Belize!